You are here: Home / News / News / Walk on! Walk on! “For the first time in years it has allowed me to play a game I love and socially interact with people who are like minded. It has improved my social circle and I feel physically and mentally invigorated”. EFL Trust’s Walking Football Cup returns for the third year running, with a record of 1500 men and women over the age of 50 taking part. 70 EFL & National conference clubs will battle it out to try and emulate what Blackpool FC achieved last year, and be crowned EFL Trust’s Walking Football Cup champions. To kick off the competition this week, 6 regional finals will take place across the country, with the top 2 from each reaching the grand final. The grand finalists will play at the Bodymoor Heath Training Ground, home of Aston Villa’s first team. 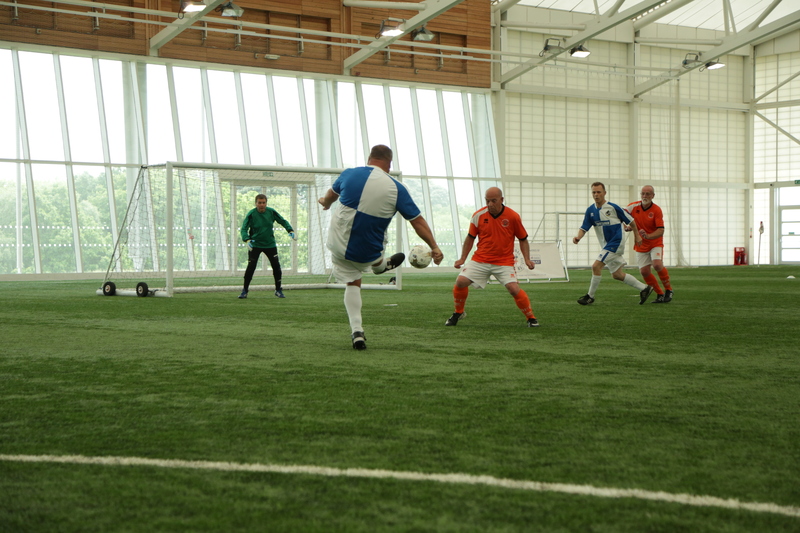 The slow-paced version of the beautiful game, aimed specifically at the over 50’s, has grown enormously over the last few years with proven health and social benefits of its participants. A survey completed during last year’s competition showed that 82% of participants believe their physical health has improved by playing walking football, with 79% of those competing in last year’s competition saying their level of exercise has increased. Paul Stephens from Leyton Orient, who suffered from depression, found a new lease of life in his passion for the game saying: ”It came along at the right time for me and I’m not sure where I would be if I hadn’t discovered it. It has benefited my life enormously. ”I was a typical kid. All I wanted to do was play for Arsenal since the age of six, but I stopped around 16 or 17. After that, I had flirtations with 5-a-side when the doctor said I should try to get into sport again. 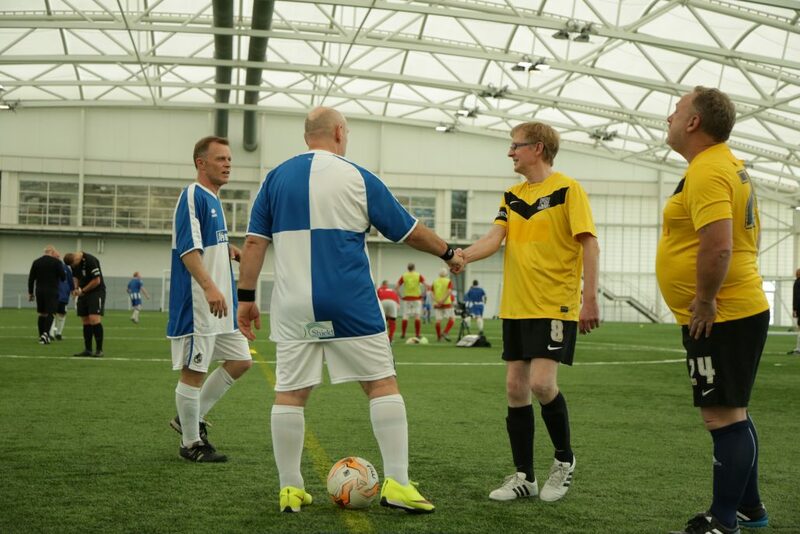 ”Walking football means so much to me and whoever invented it deserves a medal. Everybody is included and we all get a game. Nicol Meredith, from the EFL Trust commented: “Those dreams you have as a child of playing for your local team never truly go away, so the competition that teams represent in their local club and play in their colours. We want this tournament to provide the opportunity for friendly competition and to promote and help grow the game. 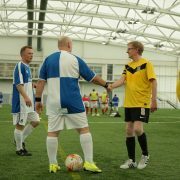 https://www.efltrust.com/wp-content/uploads/2017/04/Walking_Football_Finals_070616__007.jpg 3840 5760 EFL Trust https://www.efltrust.com/wp-content/uploads/2016/06/efltrustlogo.png EFL Trust2017-04-18 09:16:562017-04-18 09:47:06Walk on! Walk on!